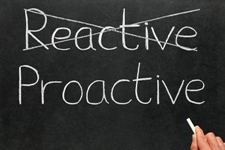 The question is: are you reactive or proactive? Reactive people have a tendency to respond to things that happen, rather than making them happen. Their responses are hasty. A term that might apply to their responses is "knee jerk". Proactive people are always looking ahead. They focus on future activities, projects and events and then anticipate needs, problems and possible outcomes. It is, of course, much better to be proactive than reactive. 1. Your Planner. Proactive people use planners the way they are supposed to be used: to record future events and scheduled activities. When you are able to view future events, you can anticipate possible problems and act before they occur. Just looking at an event, such as a meeting, in writing sets your mind thinking about things you will need for that meeting. It doesn’t matter if you use an electronic planner or a paper planner. What is important is that you use it. 2. Checklists. Proactive people use checklists for all repetitive events or activities. Checklists are especially important for recurring activities you encounter at work, such as performing discovery, preparing for trial, and handling a real estate. They actually work well for anything you do, including meeting planning, travel, conferences, workshops and interviews. Checklists must be updated frequently, adding anything that was missed so it won’t be forgotten the next time. 3. Goals. Proactive people hold planning sessions with themselves and set specific goals for the future. They not only put them in writing, along with deadline dates, but they schedule time in their planners to actually work on them. When you do this, you create your own future rather than allowing unplanned events to dictate your future...to plan your future for you. 4. Long-range planning. Proactive people recognize that it’s never too early to plan and that planning too late results in crises and time critical situations. You’ve heard it said that if the Titanic had turned sooner, it never would have hit the iceberg. Small adjustments made early avoid having to make big adjustments at the last minute, possibly when it's too late. 5. Attitude. Proactive people recognize that attitude is their most important weapon in the battlet o remain proactive. You have to have the right attitude or mindset to respond proactively. This means you don’t resent the work you must do ahead of time to be successful. For instance, proactive people jot down items for discussion before they make a telephone call or make a list of the things they need before going to the supermarket. They consult a map before taking a trip and read the instructions before assembling a book case. My request to you: "Proactive" means to act beforehand. Taking action in the present will influence things in the future, perhaps even the future itself. Practice those habits exhibited by proactive people: Think ahead. Set goals. Schedule time for activities. Plan daily. Use checklists. Review results. And continually make adjustments to improve future outcomes. Remember, there power in being proactive. What actions do you take to be proactive? 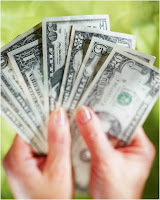 © 2011-12 Vicki Voisin, Inc.
Do you want to use this article in your newsletter, ezine or Web site? You can, so long as you include this entire blurb with it: Vicki Voisin, "The Paralegal Mentor", delivers simple strategies for paralegals and other professionals to create success and satisfaction by setting goals and determining the direction they will take their careers. Vicki spotlights resources, organizational tips, ethics issues, and other areas of continuing education to help paralegals and others reach their full potential. She publishes Paralegal Strategies, a weekly e-newsletter for paralegals, and co-hosts The Paralegal Voice, a monthly podcast produced by Legal Talk Network. More information is available at www.paralegalmentor.com where subscribers receive Vicki's 151 Tips for Your Career Success. Theresa L. Carrico, ACP is a Paralegal with Brewer, Krause, Brooks, Chastain & Burrow, an insurance defense firm in Nashville, Tennessee. She specializes in Insurance defense automobile accident liability and she's also worked in firms that practice family law and criminal defense. 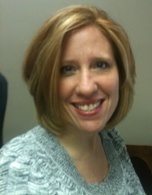 Theresa has an Associate’s Degree in Nursing from Tennessee State University and a Bachelor’s Degree in Political Science with a Legal Studies Concentration from Austin Peay State University. She is a NALA Advanced Certified Paralegal in Automobile Accidents and she also teaches paralegal courses at Kaplan's ABA approved Nashville Campus. 1. Why did you choose a paralegal career? I have always been drawn to the law. I wanted a new career (out of the medical profession completely!) but I also wanted to utilize my past educational experiences. 2. What is your favorite part of your job? I work at a firm where paralegals are truly made to feel a part of the team. I really enjoy doing the nitty-gritty investigative work, whether it be medical record analysis, researching plaintiffs' criminal backgrounds, or Facebook research. My supervising attorney is easy to work with and respects and appreciates my work. 3. What professional associations do you belong to? I am a member of the National Association of Legal Assistants, a member (and former Director) of the Healthcare Paralegals Federation, and I recently ended a two-year term as the Central Chapter Chairperson of the Tennessee Paralegal Association (a NALA affiliate organization). I also just joined the American Association for Paralegal Education as an individual member. 4. How has your membership benefited you? I believe that I have benefitted greatly from memberships in these associations. The educational and network opportunities afforded by these groups are priceless! As a result of my TPA membership, I have contacts across my state who can help me find resources such as court reporters and experts as well as provide information about out-of-county judges/courts that has proved valuable when preparing for a case in an unfamiliar county. 5. What has been the highlight of your career? I think the highlight of my career is just realizing that I am exactly where I have wanted to be in my career. I have my “dream job” a great firm doing exactly the type of work I love for a great group of attorneys. I am also a part-time faculty member and get to teach new paralegal students, which is very rewarding. 6. What do you see as hot trends in the paralegal industry? I believe the paralegal job market will become more & more competitive. Education and voluntary certification will be much more important, and more states will begin adopting regulations defining paralegal education and certification requirements. 7. What is the most important step a paralegal can take to keep his or her career interesting? Remember that this is an ever-changing field and stay educated! Continue seeking out educational opportunities. It is so easy today to take a course; many are online “webinars” or self-study courses. 8. What electronic device can you not live without? My iPhone of course. 10. What was your first job? My first job was working in a pharmacy, where I got to deliver medications to the assisted living facility next door. I used to love sitting down and visiting with our customers. 11. What time in the morning do you first check your email? I am already checking my email on my iPhone as I am putting on my make-up in the morning. 13. What’s your favorite vacation getaway? Anywhere on the Gulf Coast! I love those white sandy beaches. Bonus Question: If you could not be a paralegal, what would be your dream job? Being a paralegal IS my dream job! I spent fourteen years as a registered nurse, so this is a second career for me. I was lucky enough to get to choose this career when I was a little older (and maybe wiser?). Are you thinking about working virtually but don’t know how to get started? Paralegal Voice co-host Vicki Voisin welcomes virtual professionals Tina Marie Hilton, owner of Clerical Advantage and Cathy L. Ribble, ACP, owner of Digital Paralegal Services, LLC, to spotlight virtual paralegals and how to form a magical team. Tina and Cathy share their personal experiences, the important skills needed to be a successful virtual professional, as well as the websites and blogs that they visit often for their businesses. They also predict a very bright future for virtual professionals and provide their reasoning for that. Why they started their virtual businesses. Important skills and personality traits needed to work virtually. The good and non-so-good things about working virtually. Tips for forming a virtual team. How writing and guest blogging have benefitted Cathy’s business. Their favorite blogs and websites that are helpful to their businesses. Their predictions about the future of virtual professionals. The Paralegal Voice also thanks its sponsors: NALA...The Association of Paralegals and Legal Assistants. Also, be sure you never miss a podcast by subscribing to any Legal Talk Network show, including The Paralegal Voice, by using the RSS Feed links or iTunes links at http://legaltalknetwork.com/rss-feeds/. Within eight months of each other, two young college grads start work as paralegals in a small, New York City law firm. Both are graduates of top-20 colleges in the Northeast. Neither has any relevant paralegal experience. One gets an office; the other gets a cubicle. The one with the office earns a significant amount more. Question: Which paralegal is female? If you guessed the lower-paid cubicle dweller … you’re right. Follow this link for a Q&A with Anthony,* the young male paralegal from the riddle above, to find out why he’s coming out on top, and feels guilty about it. Have you had any experience with this situation? Once you read Anthony's interview, please leave your comment below. I want to know what you think!